This office will operate under the stewardship of Katie Rosen. Miami, FL: HVS Executive Search is pleased to announce the opening of a Search practice in Miami, Florida. This office will operate under the stewardship of Katie Rosen to better serve the firm’s growing South Florida client base. Prior to joining HVS Executive Search, Katie was a member of the Human Resources team at Crafted Hospitality, Tom Colicchio’s acclaimed restaurant group. During her tenure there, she focused on recruitment, talent acquisition, and management training across the company’s restaurant locations in New York City, Los Angeles, Miami, and Las Vegas. Katie played an instrumental role in the opening of Crafted Hospitality’s food and beverage operations within the famed Beekman Hotel, in New York City’s financial district. A graduate of the Institute of Culinary Education, she earned her Bachelor of Arts in Communication Studies at the University of Michigan. 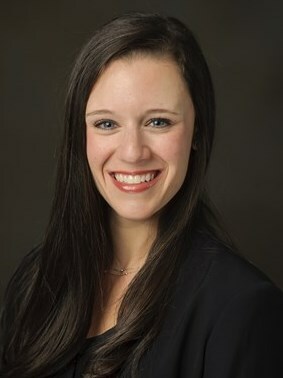 According to Court Williams, CEO of HVS Executive Search, “Katie’s strong hospitality talent acquisition experience on the client side uniquely positions her for success. We are excited to have her representing us in Miami as part of our overall global expansion strategy.” Katie serves as a trusted advisor who partners with clients 24/7 throughout the search process and is part of a dedicated team that acts as brand ambassadors in the global marketplace. Her deep industry intelligence focuses on locating candidates that best fit a client’s culture. This commitment and collaborative approach has resulted in 95% client satisfaction across HVS Executive Search placements.